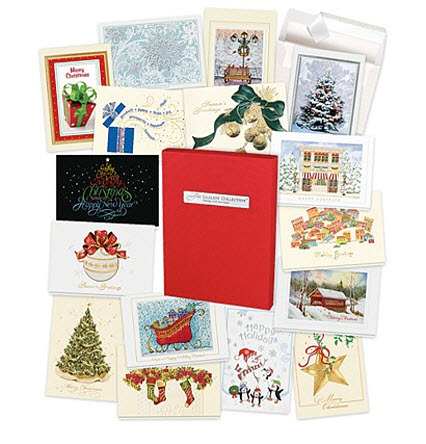 As part of The Gallery Collection’s charitable donation program, we made a donation of several assortment boxes of Holiday cards, Birthday cards, All Occasion cards, and Fine Art note cards to Saint Margaret of Cortona in Little Ferry, NJ. These assortment boxes will be used for raffles and giveaways for the parish Tricky Tray fundraiser in November. Saint Margaret of Cortona has been serving the Catholic community of Little Ferry and Moonachie for 100 years in ministry, education and service. For more information about Saint Margaret of Cortona, please visit their website at http://www.olmvmiddlesex.parishesonline.com/scripts/HostedSites/org.asp?p=5&ID=5939. This is a great idea for a tricky tray. As a parishioner of St Margaret of Cortona it makes me very happy to know that there are companies out there that support their community. I’m sure these donations will go a long way in caring for the needy. Wow! Serving the community for 100 years. That is quite an accomplishment. It’s great to hear that there are still organizations helping the less fortunate. We all need to do our part.